Women Through the Lens raises the question of how gender, especially the image of woman, acts as a visual and discursive sign in the creation of the nation-state in twentieth-century China. Tracing the history of Chinese cinema through the last hundred years from the perspective of transnational feminism, Shuqin Cui reveals how women have been granted a “privileged visibility” on screen while being denied discursive positions as subjects. In addition, her careful attention to the visual language system of cinema shows how “woman” has served as the site for the narration of nation in the context of China’s changing social and political climate. Placing gender and nation in a historical framework, the book first shows how early productions had their roots in shadow plays, a popular form of public entertainment. In examining the “Red Classics” of socialist cinema as a mass cultural form, the book shows how the utopian vision of emancipating the entire proletariat, women included, produced a collective ideology that declared an end to gender difference. 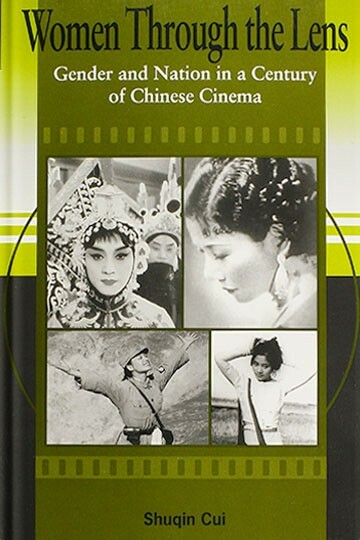 Cui then documents and discusses the cinematic spectacle of woman as essential to such widely popular films as Chen Kaige’s “Farewell My Concubine” and Zhang Yimou’s “Ju Do.” Finally, the author brings a feminist perspective to the issues of gender and nation by turning her attention to women directors and their self-representations.